You know those moments in life when the light bulb turns on, and from that moment your entire universe shifts? That was me when I discovered Essential Oils. Lovely to meet you! I’m Christine Russell, mama of 2 girls, entrepreneur, mentor, co-founder of 889 Community, essential oil enthusiast, and friend, client and follower of Joy for over a decade. You can learn more about me here! 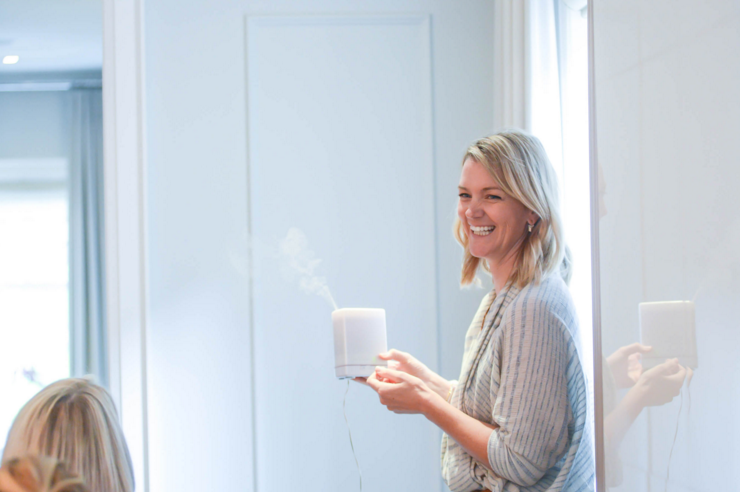 When Joy asked me to blog for her on Essential Oils I squealed! There’s nothing I love more than sharing with women and mamas the beautiful power of plants and the radical healthy shifts they have brought to me and my family. Constipation was always my thing. I know all Joyous readers love to talk about poop, so I’m not holding anything back. OK with you? I consider myself to make very natural and holistic choices in my life. That said, I always had to have some Sensokot (i.e. laxatives) at home for when I needed it. I lived a healthy lifestyle, got some relief from plough pose inyoga, but nothing seemed to work for me. It was when a mentor of mine from NYC introduced me to Essential Oils, the sky parted. 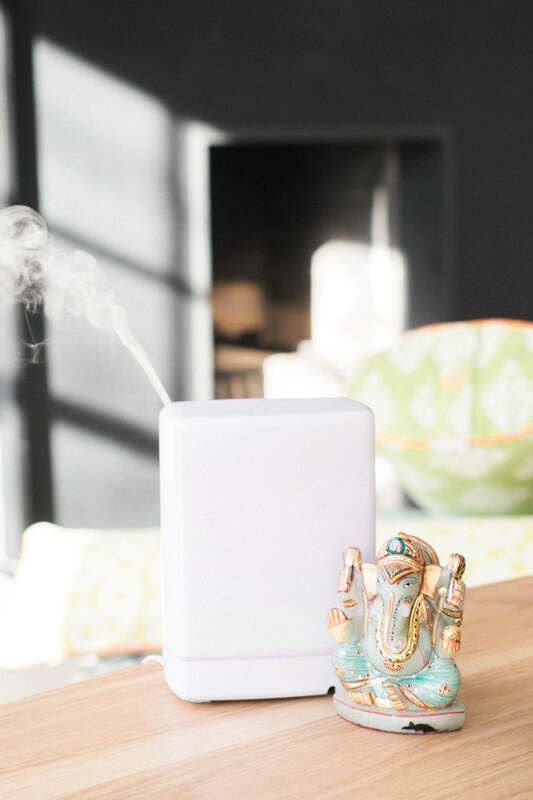 When I first learned about Essential Oils I thought I would get a cute diffuser and my house and yoga studio would smell beautiful. And I was excited about that. I’ve gotta be honest. I was a bit skeptical. But I got out of my own way, and I followed her guidance. I diluted a Digestive Blend drop with a little bit of coconut oil on my abdomen and the bottom of my feet. I remember the feeling a few hours later…WHAAAAAT?! How on earth could ONE DROP of oil from a plant have gotten my pregnant bowels moving?! The light-bulb switched on. There are therapeutic benefits to these oils! I was hooked. I read. I explored. I learned from other women. I studied. I taught. And here I am today, sharing about Essential Oils with you, as part of my life’s purpose to empower women to live happy, healthy, peaceful and abundant lives. Essential Oils are natural aromatic compounds, found in plants. They come from all parts of the plant, and are steam-distilled (think Lavender or Rose) or “pressed” (think Lemon) into an essential oil. They are highly potent: 1 drop of certified pure, therapeutic grade Peppermint Essential Oil is the equivalent of drinking 28 cups of Peppermint tea. One drop! When put on the epidermis (skin), they enter the bloodstream within thirty minutes and enter every cell of the entire body. I know, insane! Unlike pharmaceuticals (bless them when we really need them), Essential Oils penetrate the cell wall and create healing “intra-cellular,” think back to grade 10 Biology class, meaning they create healing inside the cell. They also cross the blood-brain barrier. 99% of pharmaceuticals, on the other hand, work only around the outside of the cell. And because they are synthetic, they don’t speak to the cell the same way a plant essential oil speaks to the human body, hence the real results I’m talking about. Aromatically: you can diffuse, 3-6 drops in the diffuser, or simply take a drop in your palm and inhale. Your brain and body receive all of the benefits from inhalation. Topically: apply the oils, diluted, directly on the skin. Most of the time I put them on the bottom of my feet, and then wherever is intuitive to the condition ie: headaches – temples; cramps – abdomen; sore neck – back of neck. With Oils, more isn’t better. Just use 1 drop on/in the body. Coconut Oil is the best carrier oil for dilution. Internally: some oils can be taken internally. Look only for certified pure, therapeutic grade oils and direction on which oils can be taken internally. HOW DO I KNOW WHICH BRAND TO BUY? What’s most important is that you choose a certified pure, therapeutic grade Essential Oil which has been third-party tested, and that you can trace the sourcing. There are lots of low-quality oils out there, often laced with synthetic ingredients and fragrances and are diluted with carrier oils and who knows what else. Quality sourcing is #1 importance to ensure the chemistry of the oil is pure, thus the highest efficacy and therapeutic results for your body. If you want them to work wonders on your cells, ensure these things! Just how Joyous readers choose to invest in good quality food, I urge you to choose to invest in the highest quality Essential Oils. Anyone! I used them on my newborn baby, use them on my toddler, my hubby, my parents. Remember, always, to dilute, dilute, dilute, especially with babies and kids. I use Essential Oils to move me closer to how I want to feel physically, emotionally, and spiritually. Yes, they support emotions too! One drop gives the body a system upgrade at a cellular level. Heath care is being disrupted in the best way! Drugs, move on over – empowered self-care is coming through! 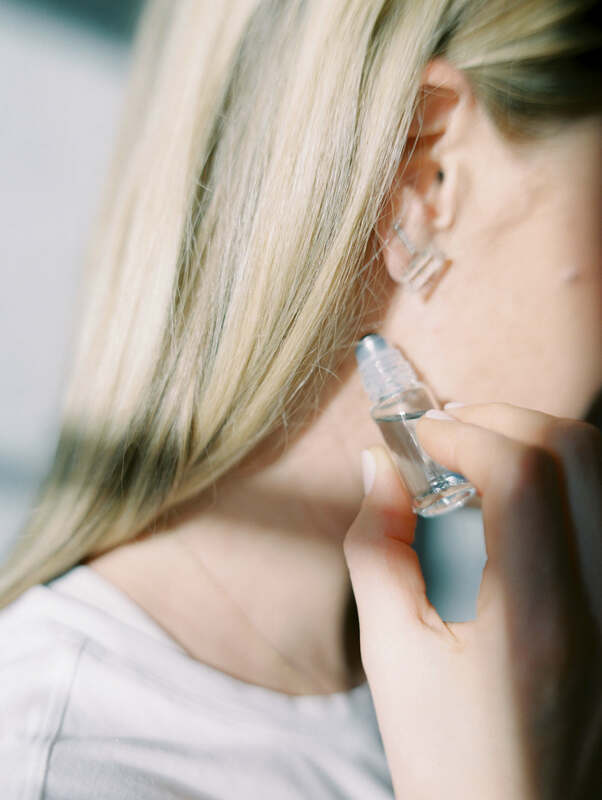 Over the next decade, watch Essential Oils hit clinic and hospital treatment protocols (you heard it first on Joyous Health!). The science, the shifts, and the results are undeniable. The conversation is here. So glad we’re having it together. Oh, I could count the ways … but instead, I’ll list some of my top favourite uses for essential oils! If I want to feel sleepier, I’m grabbing my lavender, cedarwood and vetiver and dropping 2 drops of each into my diffuser. If I’m anxious, I’m diffusing Bergamot (“the Oil of Self-Acceptance”). If my little one has a cough, I’m grabbing a Respiratory Blend with Peppermint to rub on their chest. If my kids have “ouchies” I’m spraying a blend I made of Lavender + Tea Tree Oil in a spray bottle. If I want to call in abundance, I’m reaching for Wild Orange (“the Oil of Abundance”). Feeling like I need a detox, I add one drop of lemon + grapefruit to my water. Sweet sugar craving (I’ve been off sugar since June 1, 2017!!! ), cinnamon on the roof of my mouth. Sad or something is “up,” it’s Frankincense. There’s an oil for that! Natural solutions, joyous readers! How can we fill our fridges and our medicine cabinets with plants and thrive from the energy of mama earth? How can we make this our base-line, first-line, always-way-of-high-vibe-living? Food for thought! Thank you for listening. It’s a privilege to have your attention. This matters to me.